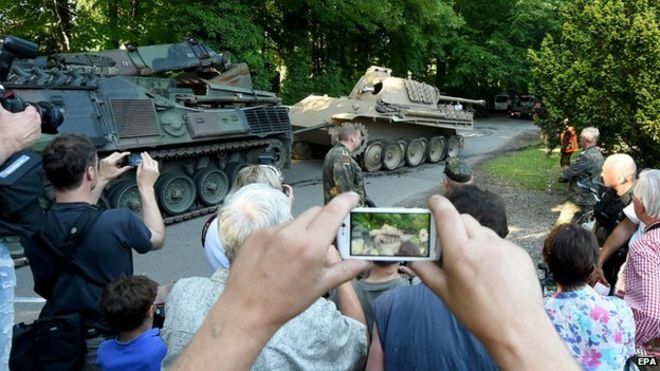 Police in northern Germany have seized a World War Two tank which was being kept in a pensioner’s cellar. 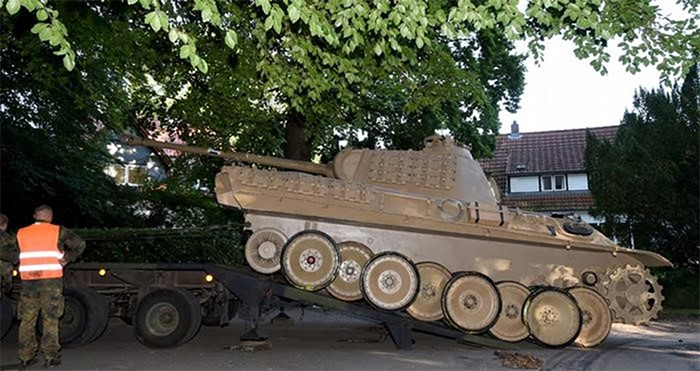 The Panther tank was removed from the 78-year-old’s house in the town of Heikendorf, along with a variety of other military equipment, including a torpedo and an anti-aircraft gun, Der Tagesspiegel website reports. 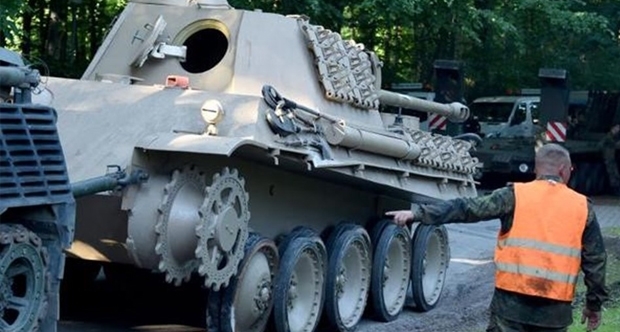 It wasn’t an easy job to get it all out – the army had to be called in with modern-day tanks to haul the Panther from its cellar. It took about 20 soldiers almost nine hours to extract the tank – which was without its tracks – and push it onto a low-loader, the report says. As the surreal scene unfolded, local residents gathered at the end of the driveway to watch. 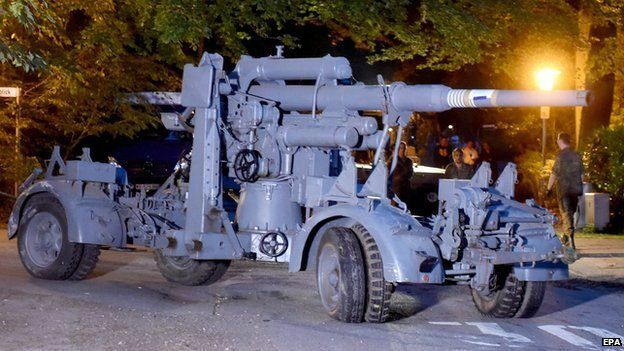 Prosecutors in the nearby city of Kiel are investigating whether the man’s military collection violates Germany’s War Weapons Control Act. But his lawyer says the weapons are no longer functional, therefore shouldn’t be restricted. Local prosecutors were tipped off about the cellar’s contents by colleagues in Berlin, who searched the home for stolen Nazi art earlier this year.